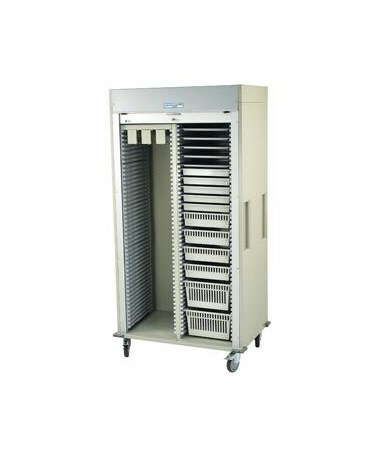 The Harloff Medstor Max Preconfigured Double Column Catheter Procedure Cart with Tambour Door is a high-density storage system designed to hold and store various medical supplies and tools needed in hospitals, clinics or medical facilities with diagnostic imaging equipment used to support catheterization procedures. Awesome Design. 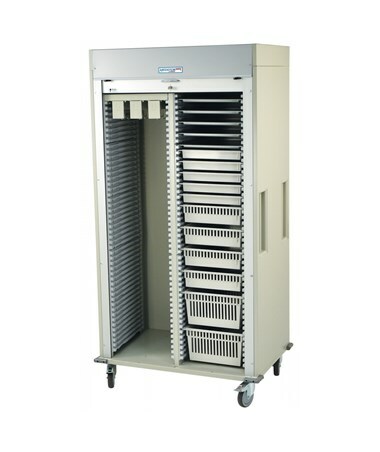 Constructed of 20-gauge steel, the Medstor Max Preconfigured Double Column Catheter Procedure Cart with Tambour Door is built to last and features a durable, hard-baked powder coated finish with different colors to choose from. The cart has a size of 80.5" H x 42" W x 27.9" D which can handle a wide range of catheter sizes and packaging techniques. It is equipped with Cath Slide Shelves with five hooks and can hold up to 15 catheter packages. Each Cath Slide is mounted on ball-bearing slides made to withstand the pull-force of removing catheters from hooks. 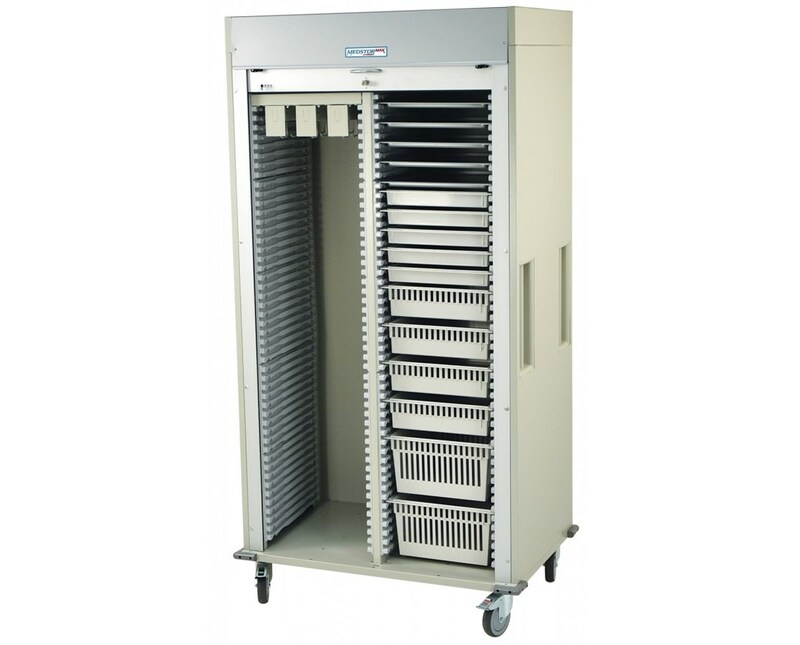 The cart has a Roll-up Tambour Door that ensures quick access to supplies during clinical hours. It also has premium 5" casters with two brakes, corner bumpers, and integrated push handles. Maximum package length is 61"